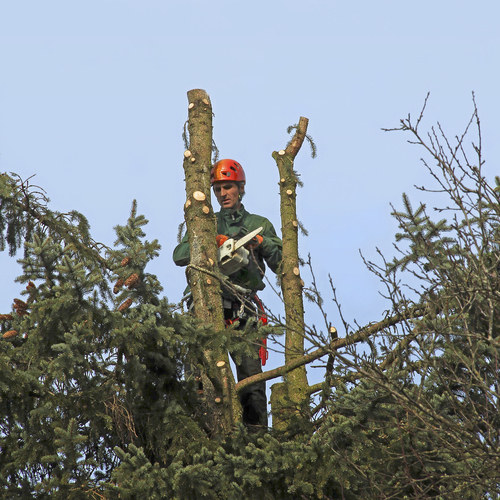 Horsham Tree Surgeons take pride in ﻿offeri﻿ng some of t﻿he ﻿best tree surgery services in Sussex. We have a passion for trees and hate to see them struggling when perhaps they could be given a new lease of life by some judicious tree work. There are many occasions when your trees will need trimming or tidying - sometimes even felling. As your local tree specialists, we will be there to provide careful and considerate tree surgery. We want to maintain the beauty and health of your precious trees for now and for future generations so we practise the best tree care and are happy to give you free advice. Horsham Tree Surgeons are professional arborists who take the utmost care to work with you and your trees. We make sure that you understand the best course of treatment and the costs involved before we start any tree cutting or maintenance work. 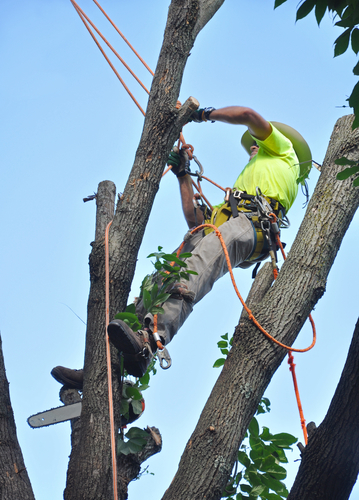 Tree surgery can be dangerous work so it's imperative that the arborist you employ is well-trained and safety conscious. You can be sure that we will operate to the highest standards. We undertake commercial tree surgery, felling, pruning, etc, as well as working for local homeowners. You'll want to use an experienced tree surgeon to look after and maintain your trees. Horsham Tree Surgeons work in an organised and efficient way, having total regard for safety and the environment. 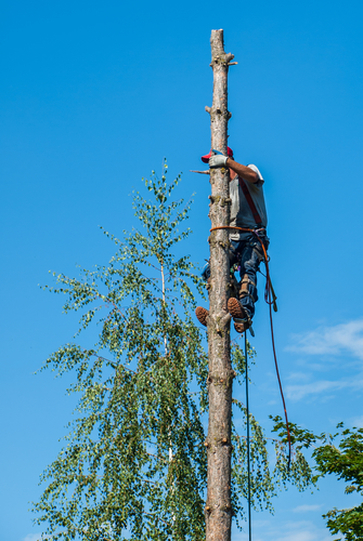 Our qualified tree surgeons take every care when visiting your premises and we'll carry out tree work to your total satisfaction, leaving the site looking spick and span! Sometimes it's necessary to completely remove one or more trees. This can be because of disease or perhaps it's just the end of the tree's natural lifespan. Tree removal may also be necessary for aesthetic or practical reasons, such as blocking light from your home or undermining your walls. We can remove any type of tree at any stage of its life, but we prefer that there is good reason. Sometimes trees can just be in the wrong place and unfortunately they may cause damage to buildings or other property. Or inappropriate planting may have taken place years ago, producing the wrong type of tree in an awkward situation. 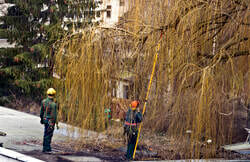 For example some people plant willow trees far too close to their houses. All is fine for a number of years, but eventually the trees can cause extensive damage to buildings with their invasive root systems. Sometimes the only remedy is to remove the tree. Leylandii can prove a problem for some gardens as they are so fast-growing and just don't seem to stop! 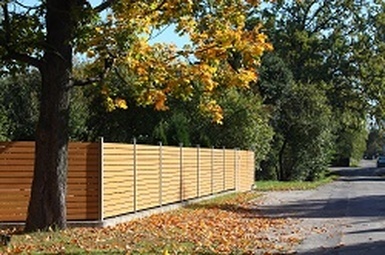 They can cast dense shade over all or part of your garden or block the sun from your land and house. Leylandii have shallow root balls so larger specimens can be hazardous too. Our tree specialists can cut back or remove your Leylandii if they have outgrown their welcome. Although we don't enjoy cutting down trees without good reason, Leylandii need careful siting if they are to be left to their own devices! More about safe tree surgery here. Trees will often benefit from careful and appropriate pruning. As your local tree surgeons, we can help to improve the health of your trees and tidy up their appearance where necessary to improve the structure of the tree. Although small trees may easily be pruned by a knowledgeable amateur, your larger and more precious trees would benefit from the services of a professional tree surgeon, who is properly trained and has the right safety equipment! Crown lifting - where some of the lower branches are removed. 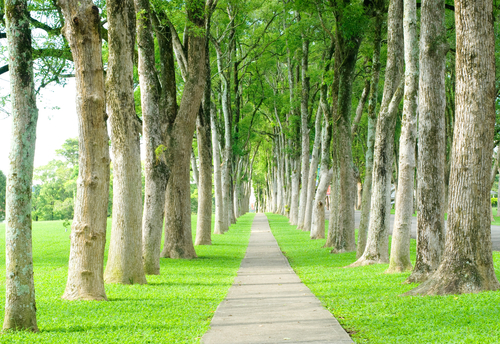 Crown lifting is often necessary where trees are overhanging roads, paths or buildings. Crown thinning - involves removal of selected branches within the crown to bring more light and air circulations to the tree. Thinning should be achieved without spoiling the overall shape of the crown. Crown reduction - involves shortening branches to reduce the overall size of the crown of the tree. Crown reduction techniques should be used judiciously and cannot be carried out on birches and conifers. 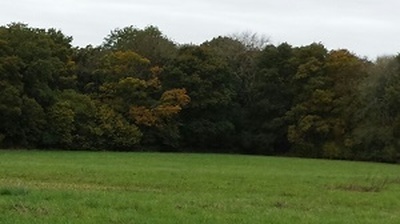 Some older trees, or those which are considered to add significantly to the amenity of the area, may be subject to tree preservation orders (TPOs). These are imposed by the local council to protect the environment. If you live in a conservation area, your trees may be similarly protected under the law. If your trees are subject to such restrictions, it is an offence to have tree surgery carried out or fell trees without permission from your Local Planning Authority. We can help in cases where it's necessary to do remedial work for the health of your trees. Sometimes sites need to be cleared when development is taking place, or where you may want to enhance your garden with different features, for example. We can undertake tree site clearance for you, removing old trees and undergrowth to leave your plot ready for your project. We can also remove rhododendrons if you find they are a problem in your garden. Woods and forests are an important part of our environment in the Horsham area but they need to be well managed in order to achieve the best results. We are experienced in all types of woodland management, coppicing, planting new woods and copses, undergrowth clearance and control of invasive species like rhododendron removal and bramble clearance. We will work with you to produce the best management plan according to your needs, whether you plan sporting activities, logging, timber production or simply require maintenance for your amenity woodland. Hedges come in all shapes and sizes, and some are extremely old. Different types of hedging require different methods of shaping and trimming. It's also important to trim hedges at the right time of year to maintain a good appearance and to avoid disturbing nesting birds. So leave it to an expert tree surgeon and we'll look after your hedges, leaving you with a neat and appealing finish. We can also efficiently cope with hedge removal if this is required. 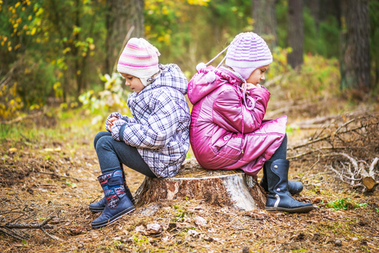 Tree stumps may be left in the ground and even turned into attractive garden features, like seats or bird tables, depending on their situation. We have stump grinders for hire if you wish to grind tree stumps yourself. It's good practice to have regular inspections of your trees by a qualified tree specialist so that you can catch any potential problems before they develop into major issues. We can carry out tree surveys and site inspections to advise you and explain how to remove tree stumps. 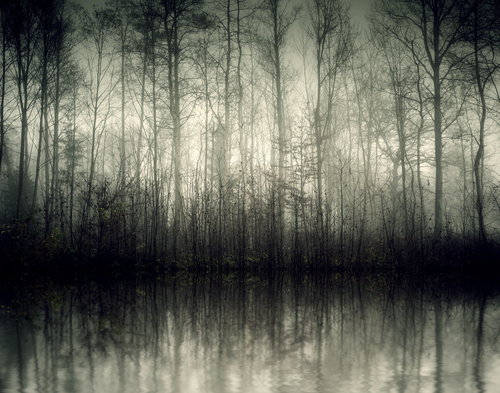 Trees, like all living things, have a natural lifespan and some live a lot longer than others. So it's inevitable that occasionally trees need to be felled, however regrettable that might be. Sometimes a fungus or infection might cause damage and tree felling may be the only solution. Or perhaps you have a tree that has outgrown its position or is causing damage to buildings or other plants. Some trees have massive root systems that can eventually undermine buildings if they have been planted inappropriately. In these cases, or where redevelopment work is scheduled, tree felling has to be undertaken. As Horsham tree specialists, we can do the necessary tree surgery and remove complete trees. If your trees are suitable for cutting into logs for your future use, we'll cut them into appropriate sizes for your requirements, or we can simply take away everything. It's advisable to have your trees checked on a regular basis. Although they may look tough, strong winds and adverse weather conditions can damage the biggest trees, so scheduled maintenance is ideal. Horsham Tree Surgeons can inspect your trees and hedges and tidy up broken branches, keep the trees in balance and advise you where necessary. Speak to us about our regular maintenance and tree trimmer service. Whether you have a large or small area of woodland, we have the machinery and experience to look after it. We can thin, remove undergrowth and invasive species and coppice as required. Ask us for free advice. Once your trees have been removed and tree stumps ground, we can make your garden or paddock look wonderful by re-seeding or turfing. Weeds grow fast and can easily take over your land, so don't take that risk. Let us restore your ground with our seeding and re-turfing services. 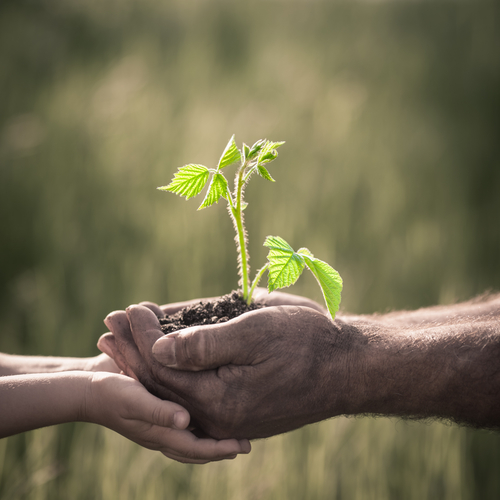 As qualified and experienced tree surgeons, we know how to plant trees and can advise on the best specimens to plant for each situation, so you get the most from your planting. You may want to plant oak trees or horse chestnuts around a paddock, for example or maybe you'd like some fruit trees to make a small orchard or to enhance your garden. We can also improve your boundaries or make windbreaks around your paddocks by planting hedging plants to create a new hedge or to improve your existing hedges. Maintain the health and vitality of your trees and plants with expert tree care services available locally. 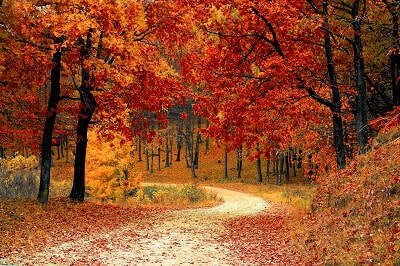 When properly cared for, trees show healthy growth and have a wonderful appearance. Having your trees and hedges maintained by professional tree surgeons will make the best of your garden and protect your assets by adding life to these precious plants. Your property can be enhanced with a holistic tree surgery approach, so pick up the phone and call your local certified arborists today. Call now ﻿01403 371980﻿ to speak to a tree surgeon in Horsham and we'll be pleased to give you advice on total tree care and maintenance. We provide expert tree care services throughout West Sussex, in fact anywhere within about 30 miles of our base in Horsham. We are also tree surgeons in Crawley, ﻿East Grinstead﻿, Haywards Heath, Burgess Hill, Worthing, Ashington, Southwater, Crawley Down, Dorking, Pulborough, Cranleigh. Give us a call to see whether we cover your area. We supply logs for your open fires or woodburners, either from your own trees or from our stocks. We also sell woodchips for garden use; great for mulching and adding nutrients back to your soil.